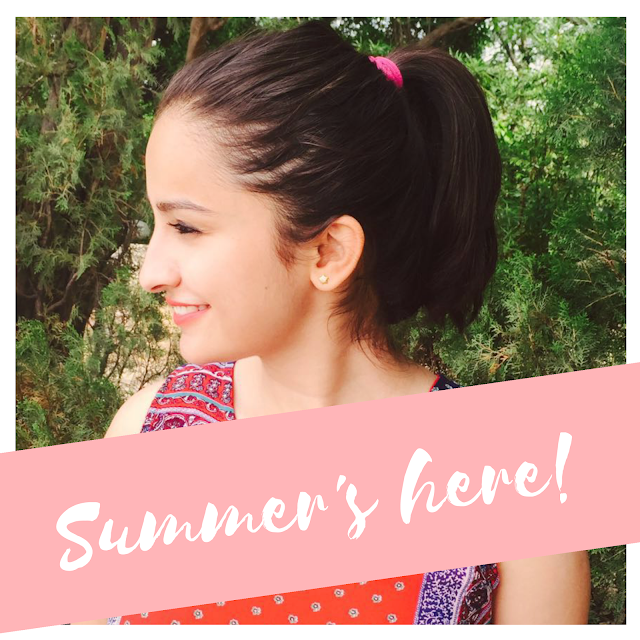 Plum NaturStudio all-day-wear kohl kajal | Review - YOUR FANCY SELF! 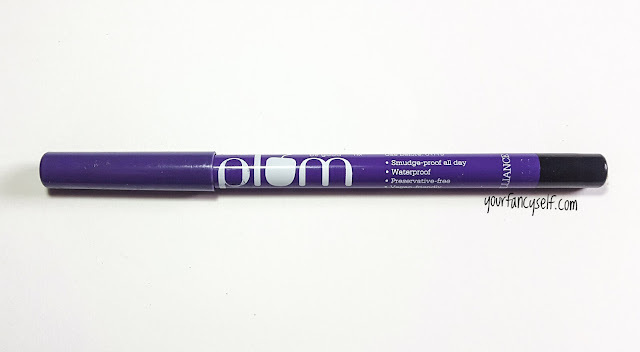 Plum NaturStudio all-day-wear kohl kajal has been around for a while. I am trying Plum cosmetics for the first time. I have always wanted to try this product since eyeliner is the only thing I cannot skip from my everyday routine. I must say that I really like the pigmentation of this kohl. Lets get into a review of the product. 1. Soft, creamy, gel-based single-swipe darkest black. 3.Brilliant black that looks “just applied” even after 12 hours. 8. 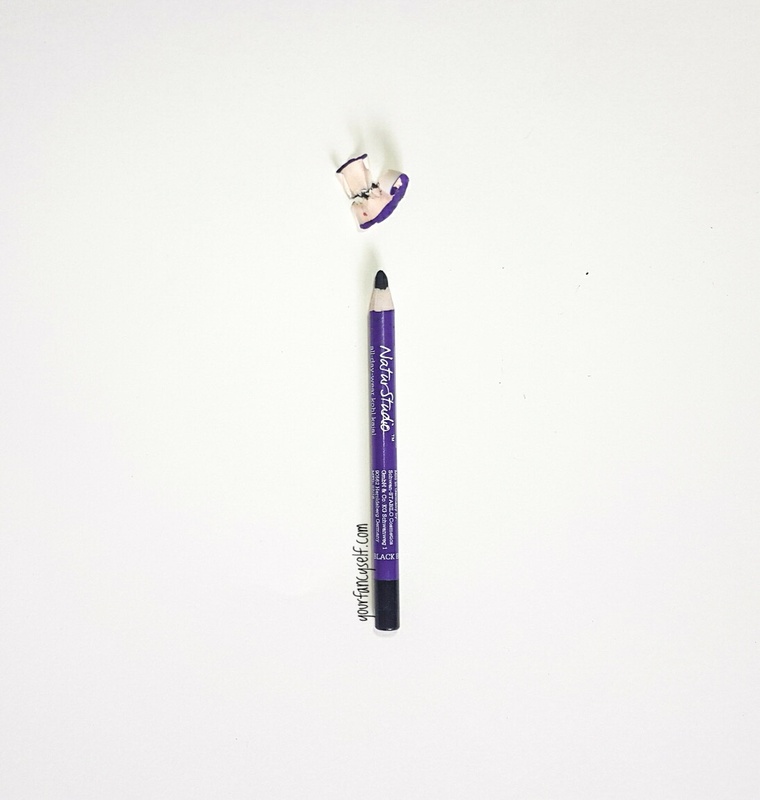 Full-size 1.2g pencil – 4 times the kajal found in twister kajal (which contain 0.31g). Lasts at least twice as long. The Kohl is a beautiful purple colour pencil, chic and cute. Talking about the kohl, Oh my god! its is so smooth and soft. Glides on like a dream. One swipe and you get a blackest of black line. Highly pigmented as it claims. 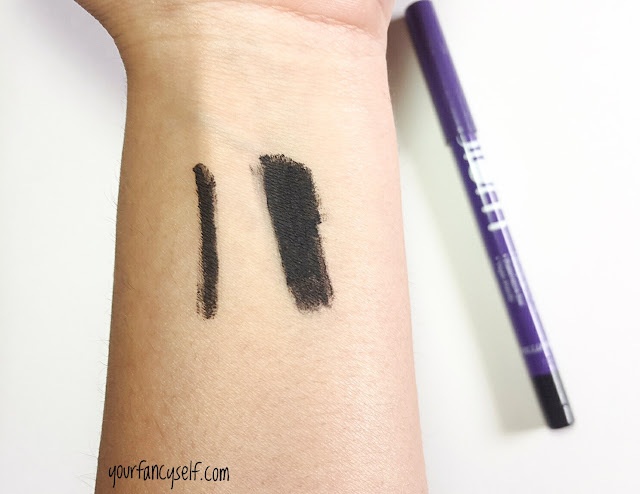 The kohl feels like you have a gel eyeliner on, like the Maybelline gel eyeliner. Since it is so soft, the tip blunts out very soon. So you end up sharpening it every time you use this, which in my opinion is a con. Once it settles, it does not budge away what so ever. It stays on pretty much the entire day on me. While you might see a little smudging on the lower waterline by the end of the day or if you (like me) rub your eyes forgetting the fact that you have an eyeliner on. Silly right! Little bit of smudging is normal, i mean you had this on for an entire day. I like to use this on my lids and on my lower waterlines, so i use a lot of product in a go! I wish there was a little more product for the price. 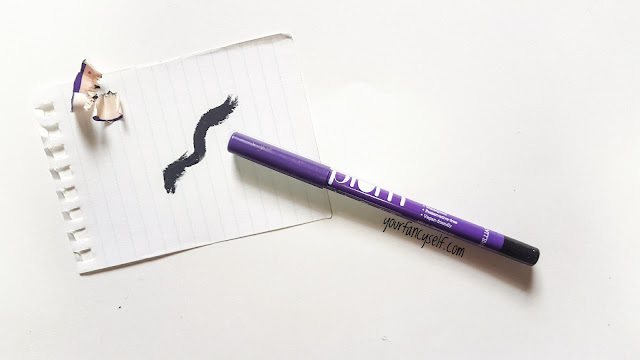 I wish Plum brings in the same formula in a pot and brush form like maybelline gel eyeliner. You can buy this online here and here. The price is a little much for a pencil kohl. Since it is so soft, you use up a lot of it in one application so it will finish up pretty soon. Not in the favour of sharpening concept. It wastes product and you need to buy an extra sharpener for this if you don't own one. 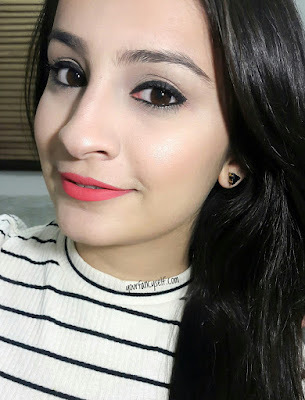 This is how the kohl pencil looks on me. INTENSE! I hope you find this review helpful. Do comment and tell how you feel about this kohl.